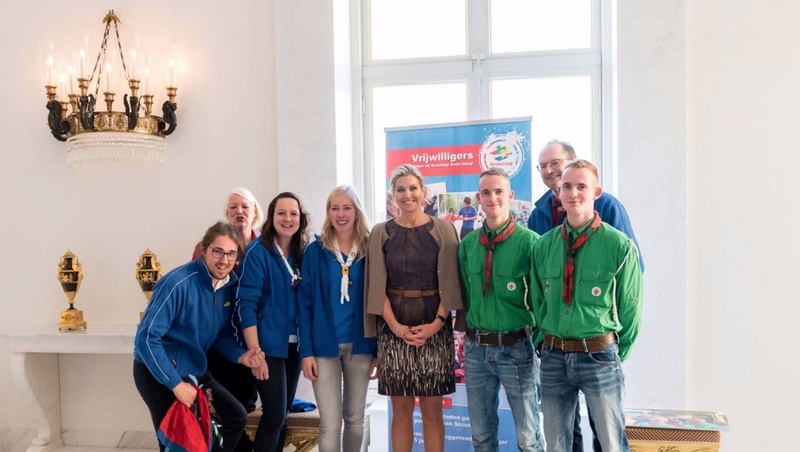 (VIDEO) Her Majesty Queen Maxima of the Netherlands Meets with Scouts at Paleis Noordeinde. On Tuesday, December 6, 2016, Her Majesty Queen Maxima of the Netherlands met with scouts at Paleis Noordeinde in Den Haag. During today’s visit Her Majesty met with young members of the scouts as well as participated in a roundtable discussion with the directors of Scouting Netherlands. Previous (VIDEO) TIHs Prince Akishino and Princess Kiko of Japan Visit Nagasaki. Next (VIDEO) HSH Prince Albert II of Monaco Attends the Opening of the Intergovernmental Panel on Climate Change Meeting.